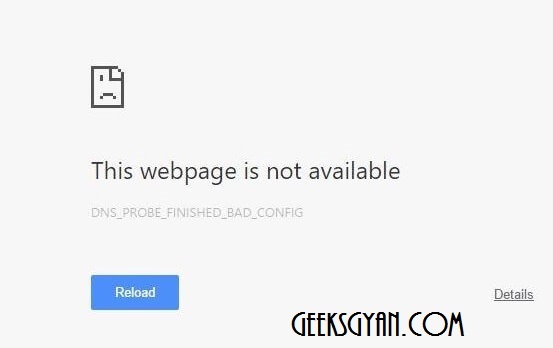 It's an error which is related to DNS server. DNS is a Domain Name System which is used to translate website names to corresponding IP addresses. 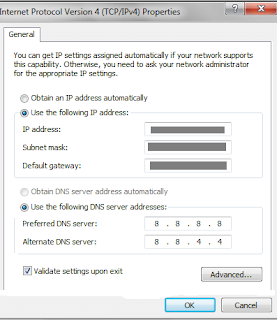 #Method 1: Tweaking DNS Settings. 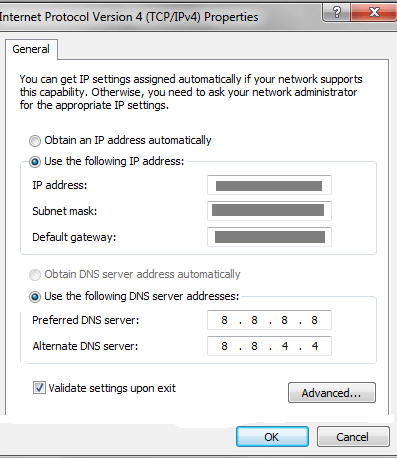 This setting definitely work in most of the cases if you do it properly.This step Requires you to do small Tweaking in your DNS Settings. 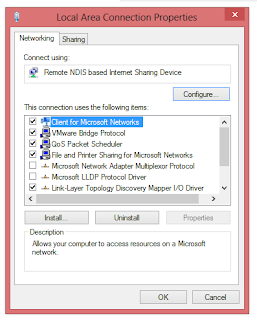 1) In taskbar Right Click on Network icon And click on Open Network and Sharing Center. 2)Now find Click Change Adapter Settings located in left. Now you will see that Network Connections have opened. 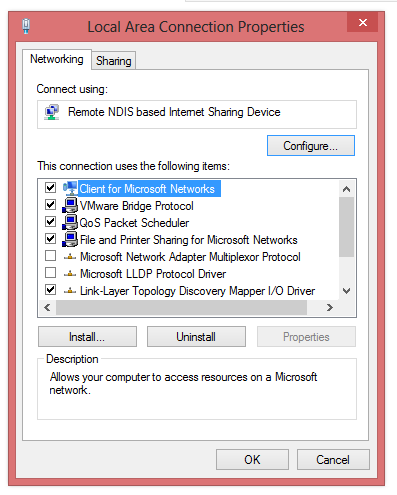 3)You will your all Network Connections in the new window, Now Right Click on Active Connection and then select Properties. 4)Now search for IPv4( Internet Protocol Version 4 ),After Finding it Double Click on it and then open Properties. 5)Now In the Properties, Just Click on Use Following DNS Server Addresses and Type in 8.8.8.8 in Preferred DNS Server and type 8.8.4.4 in Alternate DNS Server .After typing Click on OK.
Open Run by Typing “Windows + R” . Now Type “cmd” to open the command prompt. Now You can see that your dns has been successfully Flushed. Now open your browser and test that the error has been resolved or not. #Method 3: Release/Renew Ip Address. Step 1: In Command Prompt, open run and type “cmd” and then Hit Enter. Step 2: In CMD, Type ipconfig /release and hit enter. Step 3: Now type in ipconfig /renew again and hit enter. This will Renew your IP address. Step 4: Now Close Command Prompt and open your Browser to Check if the Problem is solved. 1)Make a habit to clear recycle bin, temp file, prefetch and %temp% files Always before using. 2) Clear cache,history and cookies of your Browser. 4) Disable Other internet connection while using only one active internet network connection .